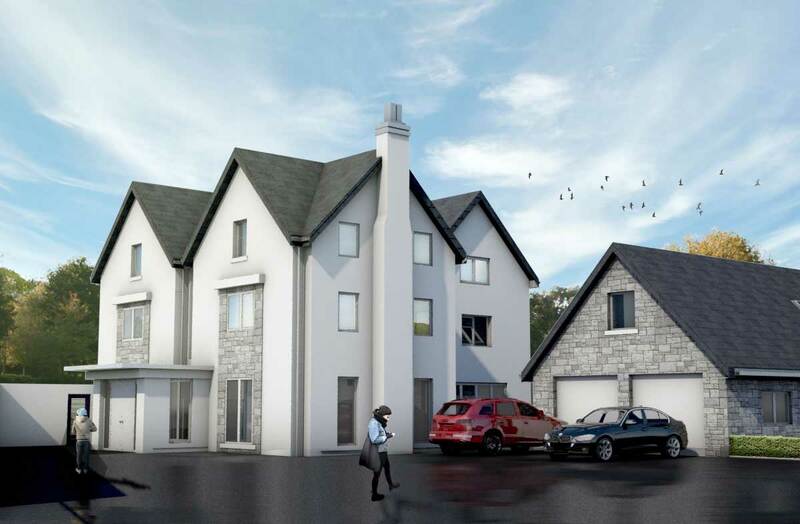 C60 Design Ltd. developed the design of this contemporary family dwelling with the client to deliver their dream of living in a modern, Low-Energy home, with enough room for an expanding family. The house will be situated within Greater Belfast. The final design included all these elements to achieve a home that maximises its context and mature landscaped surroundings. Interiors will reflect the blend of traditional elegance and modern convenience. The house was designed and will be built to the Passive House standard and detail, with high levels of insulation, low air permeability, triple glazed windows and mechanical ventilation.